Independence is certainly sweet, no matter what continent you call home. 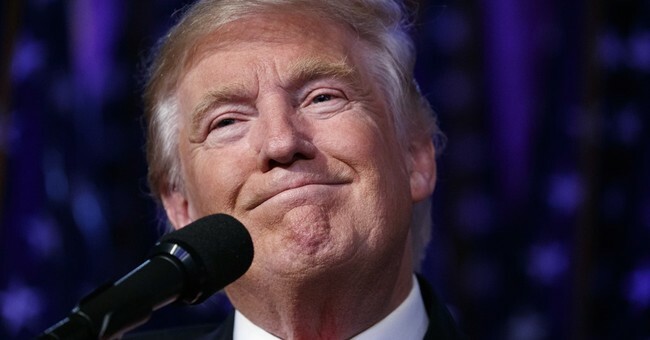 The election of Donald J. Trump as the 45th president of the United States early Wednesday morning certainly was a call to freedom ignited by a movement of small business and individuals across our nation who said enough is enough. Over the past year, tens of thousands of Americans have rallied their displeasure with the direction of our country and by the millions Tuesday they showed that displeasure at the ballot box. It was an astounding echo of the Brexit victory this summer to depart the European Union. It is one that is also bubbling up in the Netherlands, France and Italy that also want out of the EU. This movement that elected Trump is spreading across the globe as many voters worldwide are saying enough to big government that strangles their ability to earn a living. They are saying enough to the media telling them what to think. They are saying enough to bureaucrats and lobbyists who create a system that makes it difficult for the middle class to obtain affordable health care. And they are saying enough to immigration policies that endanger their families and give jobs to non-citizens. I was in the United Kingdom during last summer’s shocking Brexit vote, and the disbelief and the denial among the European elites on the morning after was identical. Yet almost six months later, Britain is now thriving as the prospect of independence and a departure from the burdens of EU regulation are seen as a boon for economic growth. Markets worldwide will be turbulent in coming days and weeks as investors come to accept that the old American order is out. Just as we saw in the UK, investors will soon see that the United States is now headed toward an economic revival – one like we haven’t seen since Ronald Reagan. President-elect Trump has pledged to roll back the thousands of regulations and executive orders that are smothering the American dream, imposed without Congressional approval. For example, President Obama issued an order on climate change without a vote of Congress that infuriated business and the voters. In Great Britain, it was the European Union’s mandates that got as specific as what shape bananas could be sold that incensed individuals and business. A realignment of tax policies that forced companies to find tax shelters abroad and move jobs offshore. American companies moved $2.5 trillion overseas in the past decade to avoid corporate taxes. Ford, for example, announced this fall it was moving production of all its small cars to Mexico. Expect major tax reform that will put money in the pockets of individual Americans and encourage companies such as Apple to return capital back to the United States. Trump has pledged a special session of Congress to repeal and replace Obamacare. Healthcare is becoming the most expensive item in the family budget – and one voters resent because the Obamacare mandate is so widely opposed. Expect a replacement from Congress that brings competition back to the marketplace, makes healthcare more affordable and restores the doctor-patient relationship. This past summer, many analysts said the Brexit victory was a vote by British citizens to return control of their government closer to home. Government closest to the people is something Americans have cherished since the founding of our nation when colonialists founded this nation and fought King George for independence. The election of President Trump might be viewed as a similar vote of returning the federal government to the people. The year 2016 is going to go down in history books as a time when the United States and Great Britain both declared their freedom and independence in the same year. And returned power to the people. Burkhalter, the former Speaker and Speaker Pro Tempore of the Georgia House of Representatives, is a Senior Advisor in Public Policy and Regulation for Dentons who shares his time between London and Atlanta.